Save labor and bring your best party while and offer customers ice cold drinks at their convenience. 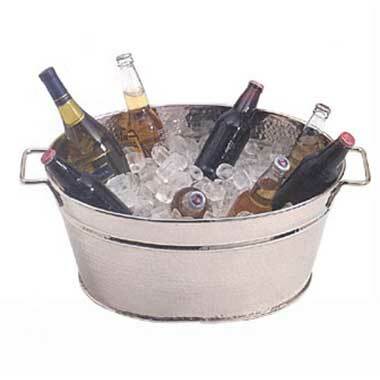 Perfect for casual or elegant celebrations, party tubs include stainless steel, stand up and plastic. Just add ice and your beverages! Tablecraft AT2012 Cristal Acrylic Rectangular Beverage Tub-20x12x6"
Tablecraft RBT2314 Remington S/S Beverage Tub - 22-1/2 X 13-1/2 X 9"